The Gigabyte X470 Aorus Ultra Gaming is equipped with AMD's X470 chipset and optimised for use with Ryzen 2000- series "Pinnacle Ridge" CPUs. This high-end chipset supports up to 64 GB RAM at a guaranteed clock frequency of 2.933 Megahertz, clock frequencies that are markedly higher when paired with OC RAM kits. Additionally, the X470 chipset is compatible with all of the latest 2nd generation features of Ryzen processors features as well as benefiting from a variety of optimisations like the new XFR2 overclocking technology. The Gigabyte X470 Aorus Ultra Gaming is an ATX-format motherboard that comes with a fast PCI-Express 3.0 slot rated for full x16 speeds, and one x8 slot. The four RAM banks can accept up to 64 GB of DDR4 RAM at frequencies of up to 2.933 Megahertz and can even function at frequencies of up to 4.000 MHz with overclocking. This Socket AM4 motherboard comes complete with two PCIe M.2 slots. Four PCI-Express 3.0 lanes connect the M.2 SSDs and they use the advanced NVM Express protocol (NVMe) in order to support data transfer rates of up to 32 Gbit/s. This makes them up to eight times as fast as SATA 6G hard drives. One slot can also be operated in SATA mode. The I/O panel of the Gigabyte X470 Aorus Ultra Gaming features a USB 3.1 Type C port. This new type of USB port is incredibly thin and allows devices to be inserted in either orientation. USB 3.1 aka USB 3.1 Gen 2 achieves speeds of up to 10 Gbit/s per port and USB ports utilising this standard support functions like quick charging for smartphones and tablets. A particularly special and unique feature of the motherboard is its integrierated RGB Fusion lighting which enables customisable RGB lighting effects across several lighting zones which can be controlled via software. For control or automated synchronisation of additional RGB lighting, the Gigabyte X470 Aorus Ultra Gaming comes with two headers for addressable and static RGB-LEDs. Furthermore the board also offers two special USB 3.0 ports with 5V voltage regulation for audio DACs. 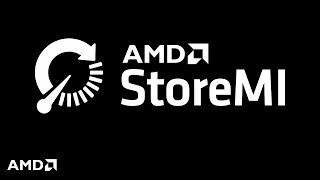 AMD Store MI provides users with integrated software that adapts your storage preferences based on what applications you use most frequently. Store MI technology is directly embedded within the Gigabyte X470 motherboard actively decreasing the time it takes to launch games, applications and even offers improved overall system responsiveness. This increase in system performance is achieved by actively combining your HDD and SDD storage into a single drive, allowing Store MI to migrate frequently used applications to your fastest available storage solution. As well as making use of traditional storage, you can also allocate upto 2GB of dedicated RAM allowance to Store MI for an ultra-fast cache data solution. More links for "X470 Aorus Ultra Gaming AMD X470 (Socket AM4) DDR4 ATX Motherboard"
Free items with this product worth £41.99!